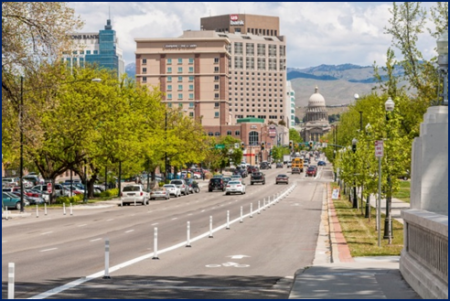 Faced with growing needs for better signal timing, for more efficient intersections and roads, and for expanded pedestrian and cycling facilities, the Ada County Highway District is asking the public about spending priorities -- and the willingness to pay for more service. Or might you be willing to do with less? Or the same? The ACHD Commission wants your input as it considers budget priorities and investments in the future. Alongside a random survey that involves telephone calls to Ada County citizens, an online survey is available to those who wish to weigh in. Follow the link to take the survey and let us know what you think. Don't dawdle -- the survey closes on May 25.